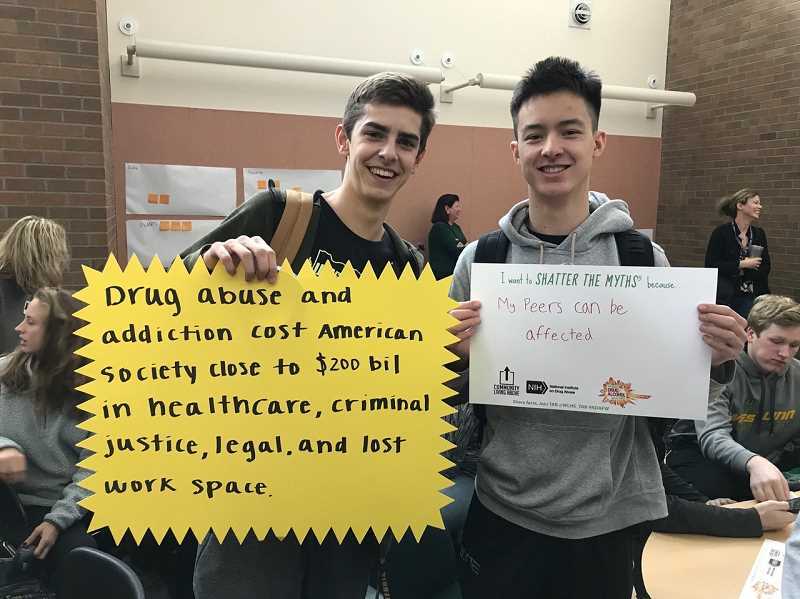 During the week of Jan. 22-28, West Linn High School — along with about 2,000 other schools nationwide — participated in National Drug and Alcohol Facts Week for the first time. 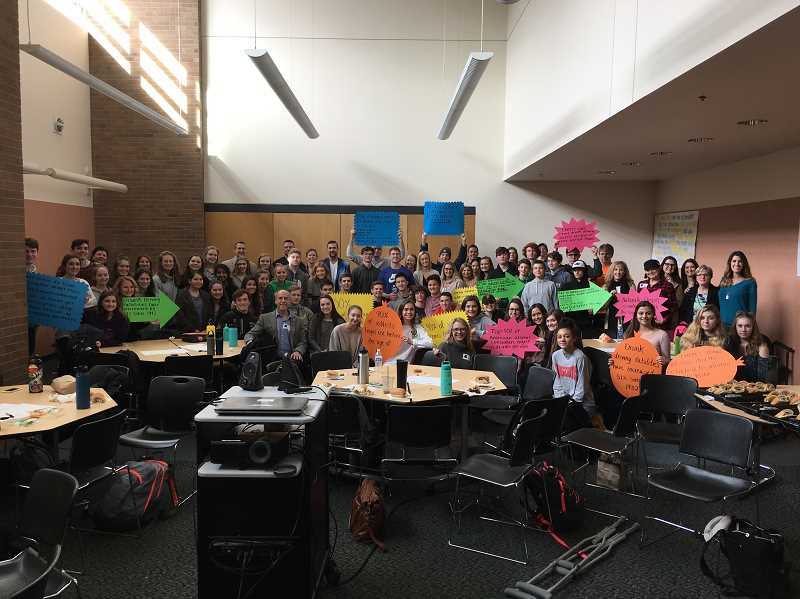 Led by the Teen Advisory Board (TAB), the goal was to educate the student body, spreading awareness about the most compelling drug and alcohol facts via posters. TAB is a group of students that work to spread awareness about drugs, alcohol and mental disorders, under the umbrella of Community Living Above (CLA) — a community organization advocating for a drug-free youth. 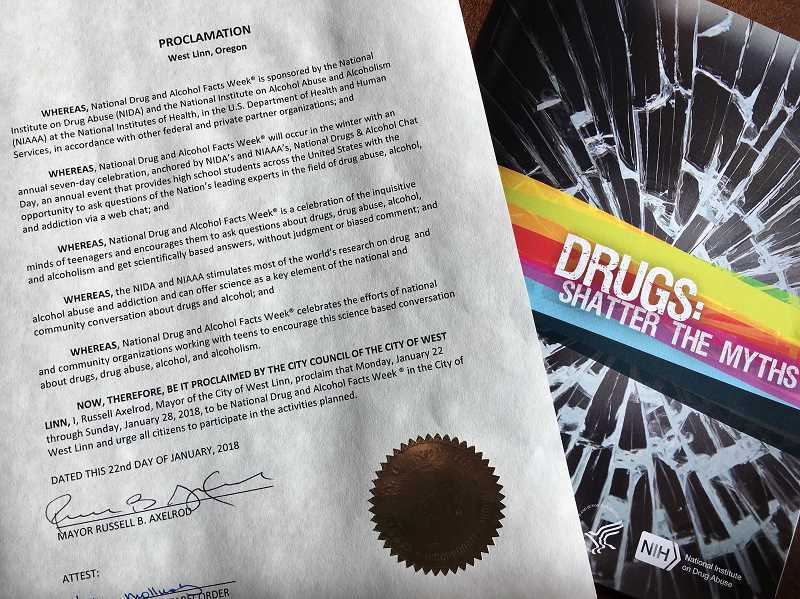 To kick off the week, West Linn Mayor Russ Axelrod read a proclamation, declaring National Drug and Alcohol Facts Week in the city. A large crowd of students, administration, school board members, parents and others, met at the lunch-time event. Axelrod then hung posters around the school with students to better educate the student body as a whole. "The event is important because most of what young people know, they go off of what they hear," said Pam Pearce, certified recovery mentor for CLA, adding that if teens want to drink or do drugs, they will find a way. But if they are reading the statistics and affects shown through examples like TAB members found for the posters, then they might want to protect themselves — either by realizing they are genetically vulnerable or by coming to the conclusion that they just don't want to partake in it. Pearce, who struggled with substance abuse herself, reiterates that it's not a war against drugs and alcohol, "it's allowing people an opportunity because predisposition is so important; it's allowing young people reasons and understanding; it's about delaying use because brain development is so important," she said. "It is OK to wait. We've created a social norm that all kids do this and all kids grow out of it — that's not true. I didn't grow out of it." WLHS senior Cody Fretwell remembers when his sister and her friend were hit by a driver high on laughing gas the summer going into eighth grade. The girls were with another friend, walking on the sidewalk in Wilsonville, when the driver struck two of them and caused massive brain bleeds. While they have recovered and are thriving, effects from the accident are carried with them to this day. WLHS senior Anthony Varga recalls seeing his close friends go downhill once they started started smoking marijuana his freshman year. Varga saw a personality change in his friend that developed a dependence for drugs and alcohol. The substances affected school and his social life. Stories like these are why Fretwell and Varga joined TAB in the first place. 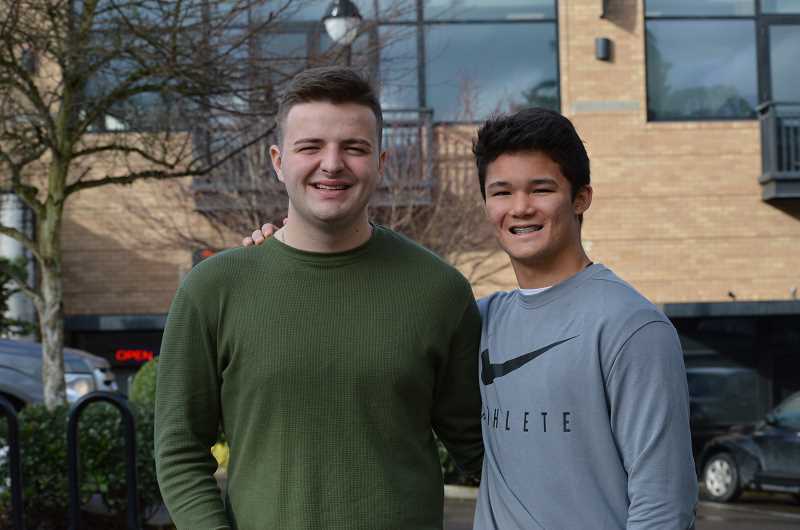 "We've been seeing how can we just advance the knowledge and spread the word about how these are real issues going on in our high school," Varga said. "What was cool was on the actual event day we had staff administration, we had the school board come in, and Mayor Axelrod — he had the whole proclamation deal and everything. They change their schedule, they change everything just so they could do this so it showed it mattered to them as much as it mattered to us." The fact that so many sectors of the community came together to support students in the kick-off event was very important to Pearce as well. "In the prevention world of substance abuse, it's important that all sectors of a community participate so people are getting the same message in different ways," Pearce said. Although the event was successful, Fretwell wishes they were able to reach more of the student body to make sure everyone knew why they were hanging posters. 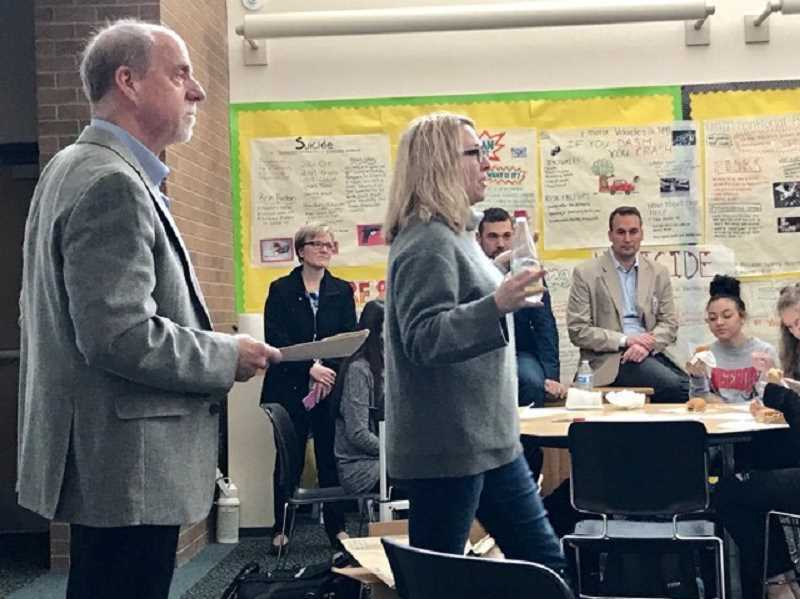 "I think it's important because it will help better educate (students) and (help them) understand the effects that alcohol and drugs can have on people," Fretwell said. "I feel like in high school a lot of people don't take it as serious because they kind of enjoy doing it and it's just something that happens. ... They just don't understand I guess." In the future, Pearce would like to get students even more involved during the week. "There's lots of other things we can do but this being the first time jumping in, I didn't want to overwhelm," she said.